December 9th marks Christmas Card Day, a holiday to honor Sir Henry Cole of England who created the first commercial Christmas greeting card in 1843! The scene on the front of the original card is a typical Victorian scene at Christmas, full of jolly people eating and being merry! A color version of the card is below. While the way in which we send our Christmas cheer has changed a lot since the 1800s, the sentiment is still the same. Sending a personalized Christmas greeting card to a friend or family letter is a simple yet thoughtful gesture that lets them know you are thinking of them and wishing them the best. 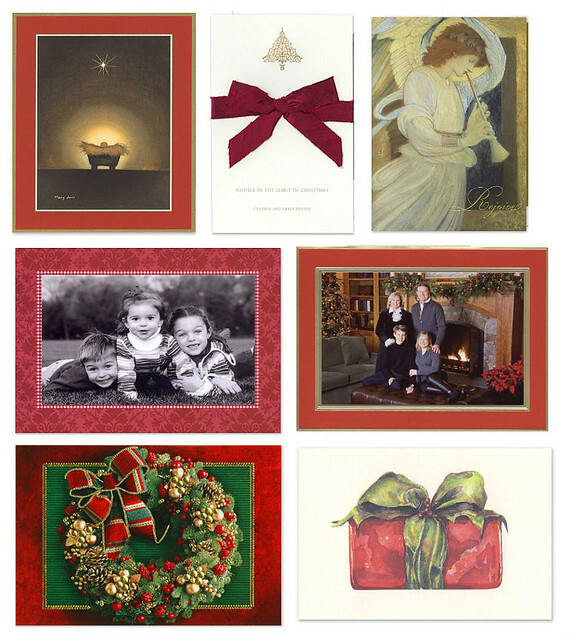 Today is a great day to decide on your holiday greeting card and get it in time for Christmas Day. Here are some staff picks that are available in time for delivery in time for Christmas!